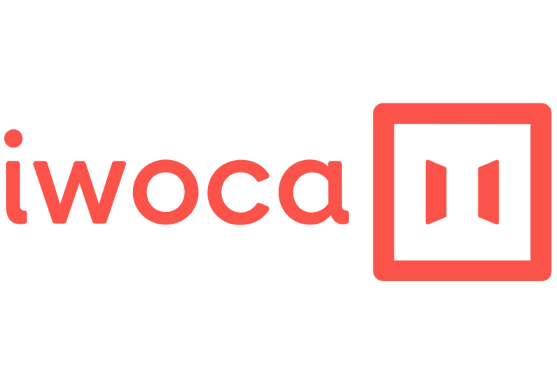 iwoca offers a new type of credit facility for small businesses, allowing them to take advantage of opportunities previously only available to their larger peers. From placing larger stock orders to bridging cashflow gaps, we believe that access to finance is crucial to driving business growth. Chris and James founded iwoca in May 2012. Since then, iwoca has grown to a team of over 160 based in Central London. We have already lent over 400 million pounds to businesses across Europe. Our business is driven by transparency and personal relationships. We think they're essential elements for any lender. We finance every sector, from cafés to car dealers, aiming to expand access to credit to all of the UK's five million small businesses. We love working with both well-established businesses and newly minted startups. Sign up in five minutes to give your business access to a credit facility of £1,000 - £200,000 for up to 60 months. This facility is completely flexible - you can repay early at no extra cost, reducing the overall cost of funding. There are no hidden fees, no lengthy forms and no long-term commitments. More startup than financial institution, we use technology to eliminate the cost and complexity associated with traditional business finance. We analyse the data behind your business to build a 360 degree view of your operations, meaning we can offer instant credit facilities and the flexibility to top up and pay down as required. Every iwoca customer has their own personal account manager to guide them through the funding process. "Having experienced some cash flow problems I was in urgent need to pay for some stock. I had received an email from Iwoca which I couldn't believe until I actually approached them. Completing paperwork was so easy. Seeing exactly what you were paying back was even better as it was all visible and easy to follow. Great way with great rates to resolve interim cash flow issue"
"I got my funds approved by Nick in less than 3 minutes and my loan amount was in my account immediately. 5/5 for them any day." "From the moment I contacted iwoca I was impressed with the service and the personal interaction. Clear, helpful and at the time promised. The documentation transactions were made easy by simple no-nonsense web application. Our transaction was completed at 9.00 pm in the evening and the account manager phoned to let us know and we drew down funds there and then. The whole team were simply brilliant"
A: We've had everything from farmers who've spotted a great deal on a new cow, to a chain of pop-up shops, to a stargazing emporium. The UK's a nation of entrepreneurs and it's brilliant whenever you can help somebody who's obviously turned what they love into a business.